This page describes the many provincial parks that can be accessed relatively simply (with a vehicle). The parks listed below are located on the southern portion of Vancouver Island, between Nanaimo and Victoria. Note that the Gulf Island’s parks included here will require an additional ferry or private boat ride to gain access. Nestled in second growth forest, including a number of Arbutus trees, Canada’s only native, broad-leafed evergreen, Bamberton also boasts a 225-meter sandy beach facing Saanich Inlet. The park has 50 vehicle-and-tent sites and is open all year. A fee is charged March to October. Campsite reservations are accepted. Enjoy mountain views, the Gulf Islands and, soaring into the horizon, Washington State’s Mount Baker. GETTING THERE: Bamberton Provincial Park is off the Trans Canada Highway near Mill Bay, a 30-minute drive north of Victoria. Reservations accepted. In Bedwell Harbor on the west side of South Pender island, Beaumont Marine Provincial Park offers good mooring and anchorage. There’s 11 camping sites and picnic areas. Trails lead to a number of interesting points. There’s a handpump for water. GETTING THERE: Take the ferry out of Swartz Bay to South Pender Island. About four kilometers south of Port Renfrew, Botanical Beach is part of the new Juan de Fuca Marine Trail Provincial Park, a 45-kilometer stretch of coastal trail along the southwest side of Vancouver Island. The perfect day trip out of Victoria, Botanical Beach is where you’ll find incredibly rich tidepools filled with starfish, sea urchins, clams, oysters, and, at the right time of year, passing grey whales. Please do not disturb the marine life. Camping and fires are also prohibited. GETTING THERE: Take Hwy. 14 west of Victoria to just south of Port Renfrew. The road into the park is very rough. At 16,450 hectares, Carmanah contains an extremely complex forest ecosystem, including the large Sitka spruce. The Lower Carmanah Valley was declared a provincial park in 1990 following the discovery of the ‘legendary giants’. In 1995, the Upper Carmanah Valley and the Walbran Valley were added to the park. Carmanah is home to a 95-meter high Sitka spruce, believed to be the tallest in the world. The park’s old-growth ecosystem provides a home to a variety of insects, birds and mammals while the lower reaches of Carmanah Creek support coho and chinook salmon. The park provides excellent wilderness camping, hiking and nature exploration. GETTING THERE: The Carmanah Valley can be reached by vehicle via Port Alberni to the Caycuse River Bridge. Take Hwy. 4 west to Port Alberni then connect onto the logging road. From Victoria, the Carmanah can be reached by heading west on Hwy. 14 to Port Renfrew to the Caycuse River Bridge road. From Lake Cowichan, follow the logging road to the Caycuse River Bridge. The Carmanah has camping facilities, tables and fire pits. Short term vehicle camping is available, as is water. Information on trails is available from the information shelter located in the parking lot. The Walbran Valley section of the park is undeveloped and access is discouraged. The 128-hectare park protects second-growth forest, and the summer steelhead and coho salmon runs in the Chemainus River. The park offers swimming and fishing. GETTING THERE: The park is located approximately three kilometers northwest of Duncan. From Victoria, head north on the Trans Canada Hwy. Turn left on the Copper River Main logging road. A spectacular spot to spend a day, China Beach Day Use Area, near the community of Jordan River on the southwest side of Vancouver Island, offers unparalleled views of the Pacific Ocean. A 15-minute hike through spruce, fire and cedar takes you to the beach. Camping and fires are not permitted. GETTING THERE: Take Hwy. 14 west from Victoria. The 68-kilometer drive should take just over an hour. With a brand new campground, the 750-hectare Cowichan River Provincial Park offers everything you need. There are 39 drive-in and four tent camping sites. The park has drinking water, firewood, picnic area, pit toilets, garbage pit and recycling containers. There are also two picnicking/day-use sites, boat launch. There is also wheelchair accessibility. Open all year, fees are collected from March to October. Reservations are not accepted. The parks offers numerous land and water-bases recreation opportunities including swimming, canoeing, camping, fishing, white-water kayaking and hiking trails. The park is adjacent to an abandoned rail right-of-way which provides opportunities for cyclists, hikers and horse riders. Other features include the 20-kilometer Cowichan River Trail, Skutz Falls and Marie Canyon. The Cowichan River is internationally known for its coho, chinook and chum salmon and steelhead, rainbow, brown and cutthroat trout. The park also protects Douglas fir, western hemlock and rare wild flowers. GETTING THERE: From Victoria, head north on the Trans Canada Hwy. to Hwy. 18 just north of Duncan. Once on Hwy. 18, follow the signs to Riverbottom Road. At the south end of Gabriola Island, just off Nanaimo, Drumbeg Provincial Park allows exploration of shelving sandstone rocks and a small sandy beach. There’s picnic sites and pit toilets. Day-use only. GETTING THERE: Take the ferry from Nanaimo to Gabriola Island. Once on the island, go south on South Road. Near Jordan River, French Beach Provincial Park is 59 hectares of oceanside camping. There’s 69 campsites, picnic sites, adventure playground, pit toilets and sani-dump. The 1,600-meter sand and gravel beach provides a good site for watching passing grey whales. There also fishing and a number of interesting walks through second-growth forest. Open all year, fees are collected from March to October. In the summer, there are visitor programs on weekends. Reservations are accepted. GETTING THERE: From Victoria, head west on Hwy. 14. Continue past Sooke for about 15 kilometers. Located at the north end of Gabriola Island, Gabriola Sands Provincial Park offers a sandy swimming area ideal for children. There also a playing field, picnic and day-use area. Drinking water and pit toilets are available. GETTING THERE: Take the ferry from Nanaimo to Gabriola Island. Once on the island, head north on Taylor Bay Road. Located 16 kilometers north of Victoria, Goldstream Provincial Park is nearly 400 hectares of incredible wilderness. With two distinct vegetation zones, the park has 600-year-old Douglas fir, western red cedar as well as Arbutus trees, and wildflowers. The park also boasts an annual run of chum salmon in October-November. The park has beautiful hiking trails, camping, picnicking and nature viewing. Along the Goldstream River keep an eye open for abandoned mining shafts and tunnels. Open all year, the park has 164 camping sites with toilets, water, showers and wood. There’s also a group campsite. The park has a visitor center, amphitheater and organized programs. Fees are charged March to October. Reservations are accepted. GETTING THERE: From Victoria, take the Trans Canada Hwy. north. The drive takes about 20 minutes. Access to the campground is via Sooke Lake Road while entrance to the day-use area is near the junction of the highway and Finlayson Arm Road. A second-growth Douglas fir forest on the south arm of Cowichan Lake, Gordon Bay Provincial Park offers fishing for rainbow and cutthroat trout and Dolly Varden. You can also take a swim in the warm lake water. Flower lovers will want to visit in April when the wildflowers are at their peak. The park offers 130 campsites, picnic/day-use, a boat launch, drinking water, toilets, showers, hiking trail and playground. The park is wheelchair accessible. 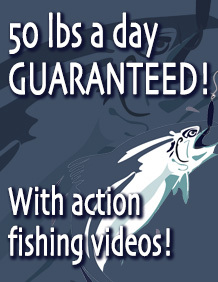 Open all year, fees are charged from March to October. Reservation are accepted. GETTING THERE: From Victoria, head north on the Trans Canada Hwy. to Hwy. 18, just north of Duncan. Turn left toward Lake Cowichan. Once there, follow the South Shore Road. Located on the east side of Saanich Inlet, Gowlland Tod Provincial Park is the result of a unique partnership between the provincial and local governments, organizations and private companies – called the Commonwealth Nature Legacy. Commemorating the 1994 Commonwealth Games in Victoria, the object was to preserve a heritage of green space for future generations. At just over 1,200 hectares, Gowlland Tod protects a significant part of the Gowlland Range, one of the last remaining nature areas in Greater Victoria and a portion of the natural shoreline and uplands of Tod Inlet. Rich in biodiversity, the area has more than 150 animal and plant species, and contains a unique dry coastal Douglas fir habitat. The park has over 40 kilometers of hiking trails. It is also culturally significant to Native Indians, who use the park for medicinal, ceremonial and spiritual use. GETTING THERE: From Victoria, head north on the Trans Canada Hwy. Turn right on Millstream Road. On Holden Lake, southeast of Nanaimo, Hemer Provincial Park is a charmer. A gift from John and Violet Hemer, the park has walking trails and good fishing for trout. Open all year. GETTING THERE: From Nanaimo, head south on the Trans Canada Hwy. to Cedar Road. Turn left. Watch for signs. Walk on forested trails or climb to the summit of Mount Newton in John Dean Provincial Park. On the Saanich Peninsula north of Victoria, the park has a picnic site and many hiking and horse trails. GETTING THERE: From Victoria, take the Patricia Bay Hwy. north to East Saanich Road. Continue north. Watch for signs. A 47-kilometer stretch of the west coast of Vancouver Island, Juan de Fuca Provincial Park offers rugged beauty, marine life, wildlife and the roaring surf of the Pacific Ocean. The park protects significant tidal pool life at Botanical Beach, and black bear and cougar habitat. The park, off Hwy. 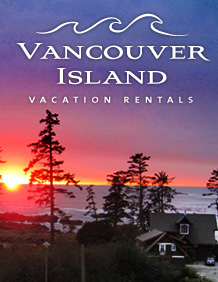 14 west of Victoria, offers day-use hiking, wilderness camping, wildlife viewing and surfing. The park is accessible from various points along the highway and is open all year. Fees are charged all year. The park is wilderness and is not regularly serviced or patrolled. Please practice ‘no trace’ use. GETTING THERE: From Victoria, head west on Hwy. 14. The park starts at China Beach (west of Jordan River) and stretches to Botanical Beach, near Port Renfrew. Located on the southwest side of Galiano Island, Montague Harbor Marine Provincial Park offers sandy beaches for swimming and sunbathing. The park has protected anchorage with a wharf, dinghy floats and mooring buoys. There’s 40 tent and vehicle camping sites, picnic grounds, fishing, canoeing, many kayaking routes, a boat launch and trails. Open all year, fees are charged from March to October. Reservations are accepted. GETTING THERE: From Victoria, head north on the Patricia Bay Highway to the ferry terminal at Swartz Bay. Take the Galiano Island ferry. From the mainland, there’s a ferry from Tsawwassen, south of Vancouver, to Galiano Island. Once on the island, take Sturdies Bay Road to Georgeson Bay Road. Watch for Montague Road on your right. The region reminds us that Vancouver Island was a coal mining region. Located just south of Nanaimo, Morden Colliery is an undeveloped, open all year, four-hectare wilderness park. There are a few coal-mining artifacts. GETTING THERE: From Nanaimo, take the Trans Canada Hwy. south to Cedar Road. Turn left. Follow Cedar Road to Akenhead Road. Watch for signs. Located on Saltspring Island, Mount Maxwell Provincial Park offers picnicking, pit toilets and hiking trails. Climb to the top of Baynes Peak for superb views of Vancouver Island, other gulf islands and the mainland. GETTING THERE: Take the ferry from Swartz Bay, north of Victoria. The ferry makes stops at other islands along the way. From Crofton, take the ferry directly to Saltspring. The park is accessed off Maxwell Road. Following a varied history, Newcastle Island received park status in 1961. Off Nanaimo harbor, the park offers a shoreline dominated by steep sandstone cliffs and ledges punctuated by beaches. Caves and caverns exist along the shoreline and provide a marked contrast to the interior of the island, which is studded with Douglas fir, arbutus, Garry oak and dogwood trees. The island offers a variety of activities, including hiking, biking, swimming and camping. There’s an 18-site campground with toilets, showers, water, food concession, picnic areas. Newcastle Island also has a pavilion, formerly a railway company facility, that has been restored. It now houses a dance floor, restaurant/snack bar, recreation equipment rental concession and gift shops. Open all year. Fees are charged. GETTING THERE: From Nanaimo, a foot passenger ferry operates during the summer months. There’s a wharf and mooring for private boats. Thousands of years ago, Native Indians carved images into rocks south of Nanaimo. At this easily accessed park, you can stroll among the rock carvings and take rubbings from casts of the originals. The park offers picnic/day-use, hiking and walking trails. GETTING THERE: From Nanaimo, take the Trans Canada Hwy. south. Watch for signs. Located on North Pender Island, Prior Centennial Provincial Park is a 17-vehicle/tenting site set in a pleasant, woodland area. Open March to October, fees are charged and reservations are accepted. The park has drinking water, pit toilets and hiking trails. GETTING THERE: Take the ferry from Swartz Bay, north of Victoria, to Pender Island. A ferry also goes from Tsawwassen, south of Vancouver, to Pender Island. Named for the family that farmed the land, this park — at Beaver Point on Saltspring Island — is one of our favorites. The point is noted for its tiny coves, rocky headlands and seven-kilometer shoreline. The park has 70 walk-in campsites, drinking water, pit toilets, canoeing, kayaking and is wheelchair accessible. Open all year, fees are charged March to October, the park is a favorite with cyclists and youth groups. The trails are not well developed but the coastline is open. GETTING THERE: Take the ferry from Swartz Bay to Saltspring, or from Crofton to Saltspring. A ferry also goes from Tsawwassen, south of Vancouver, to the island. A small oceanfront site on the northeast side of Gabriola Island, Sandwell Provincial Park offers a sandy beach and thinly forested uplands. The park is good for picnicking and swimming. Kayakers and SCUBA divers also use the park as a launch area. There are pit toilets. GETTING THERE: Take the ferry from Nanaimo to Gabriola Island. Located at the north end of Sidney Island, Sidney Spit Marine Provincial Park has thousands of meters of beach for swimming, sunbathing and beachcombing. There’s sheltered anchorage on the west side, with wharf and landing floats for small boats. The park has 30 walk-in campsites, areas for group camping, picnic sites, pit toilets, hiking and walking trails, visitor programs, drinking water and play area. Open all year, fees are charged from May 15 to October 15. GETTING THERE: From Victoria, head north on the Patricia Bay Hwy. to Sidney. Ferry access is from Sidney. Thirty kilometers north of Victoria, Spectacle Lake Provincial Park has an interesting trail that meanders around the lake where fishing can be rewarding and swimming enjoyable. The park has picnic sites, a boat launch, drinking water, pit toilets, canoeing and kayaking. It is wheelchair accessible. GETTING THERE: Take the Trans Canada Hwy. north from Victoria. Watch for the signs. A small lakeside area on Shawnigan lake, lakeside park has short walking trails and warm water swimming. There’s picnic sites, drinking water, pit toilets fishing, swimming, canoeing and kayaking. GETTING THERE: From Victoria, take the Trans Canada Hwy. north to Shawnigan Lake Road, just north of Mill Bay. It’s about a 45-minute drive. Broad sand and mud beaches are backed by forested upland with numerous open areas. Located on the northeast side of Saturna Island, Winter Cove Provincial Park has some day-use facilities including picnic sites, drinking water, pit toilets, and a launch for small boats. There is no camping. GETTING THERE: Take the ferry from Swartz Bay, north of Victoria, to Saturna.